Technically, I’m from rural Indiana, country born and raised. 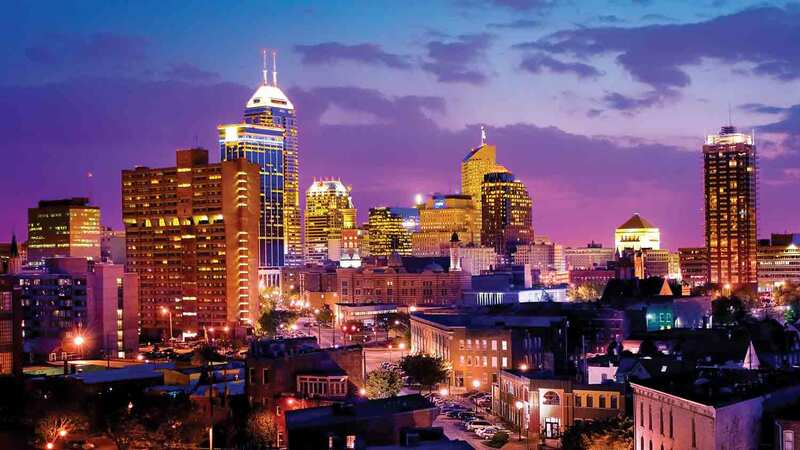 Since coming home from my big Latin American journey, this bumpkin is living in the “big city” of Indianapolis for the first time. Travel Tip: Send yourself postcards too! Makes a very special collection. Before I left, I really enjoyed living in Lafayette, home of Purdue University. For me, this small town holds my heart as well as my favorite place, People’s Brewing Company. I had the privilege of working for owner Chris Johnson for two and a half years. It is here that my love for craft beer was born! Upper Left – #lokitravels to People’s Taproom Lower Left – Sticker I left on Caye Caulker, Belize “Love from Lafayette, IN, USA” Right – Hooping in my People’s shirt near Guatepe, Colombia. There’s a sticker up there too. Anyway, let’s head back 60 miles south to Indianapolis. When I arrived home in December, it was time to find a job as quickly as possible. As luck would have it, I quickly found an opening serving at Hopcat in Broadripple thanks to my beautiful friend, Megan. I was employed and working within 10 days of being home. Boom. Wow, what a cool place! Hopcat, a small chain that started in Grand Rapids, Michigan, quickly won me over. 130 craft beer lines. 30 constants, 100 rotating. No Budweiser or any other crap on tap. Hopcat has impressed me in a lot of ways. Most notably, the incredibly high standards, the amazing staff, and the company’s commitment to sustainability. I’ve worked in several different restaurant settings. I’ve never even heard of what Hopcat does. At least 90% of Hopcat’s waste is composted or recycled. That leaves 10% trash for landfills. That’s completely unheard of. Bravo, Hopcat. The main attraction. Food is yummy too. Despite spending a lot of my time working, I’ve done my best to see my family and friends as much as possible and enjoy all those comforts of home that I greatly missed. Lucky for you, Indy is really good at music and beer. There are venues all over town for every type of music lover. For me, my love of jam bands leads to 3 great places: The Mousetrap, The Vogue Theater, and Old National Center. A huge shout out to Indymojo for bringing amazing music to this city! Check out their website for a full calendar, ticket giveaways, and other awesome events around the city! Yonder Mountain String Band with Allie Kral at The Vogue. Photo courtesy of Aaron Lingenfelter. Check out more photos from FX Media. For those of you who don’t know, Indianapolis is currently drowning in beer, a good problem to have. Microbreweries have been popping up all over the state. The Midwest is a great place to be for all you beer nerds like myself. As mentioned above, Hopcat is a great place to try some new stuff. Also there are dozens of microbreweries in and around the city. Check out my favorites: Flat 12 Bierworks, Fountain Square Brewery, Triton Brewing Company, Scarlet Lane, and Chilly Water. Oh, here’s another cool thing about the city! 4 hours later we went to Shoefly Public House who, at the time, was participating in Devour Downtown. Every year, downtown restaurants feature a special 3 or 4 course menu for a special price that is significantly discounted from their regular menu. It’s a great way to try new places downtown. There are several of these going on throughout the year in different parts of the city – Devour Downtown, Chow Down Midtown, and Northside Nights. All in all, my time at home was short and sweet. It was wonderful spending the holidays with my family, and I did my best to take advantage of everything the city has to offer. I was really blessed to find a job so quickly, a roof over my head (thanks, Sean <3), and another adventure right around the corner! Keep following. We’re just about off to tackle The AT!! !